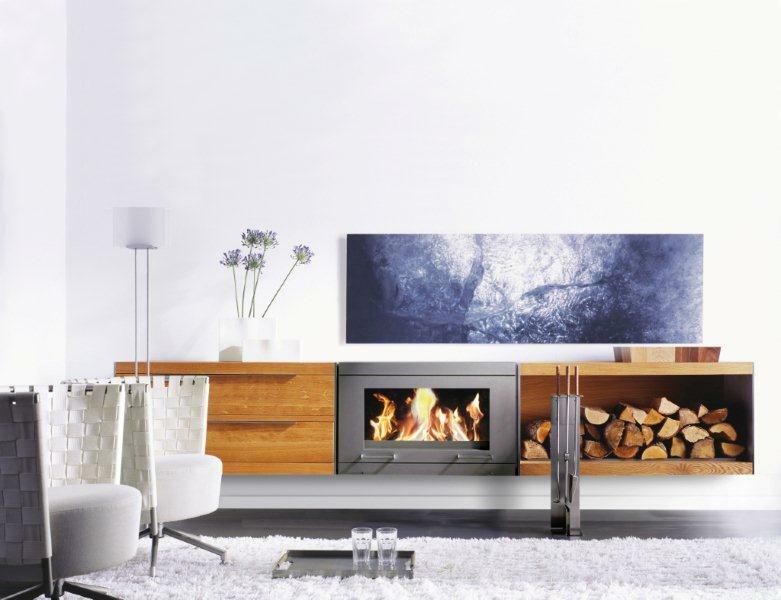 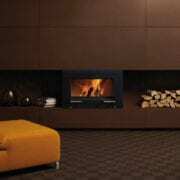 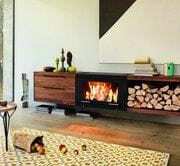 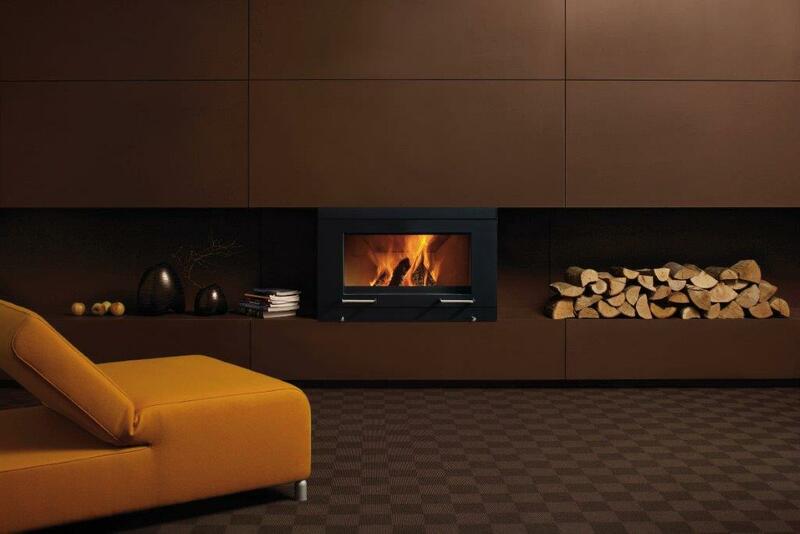 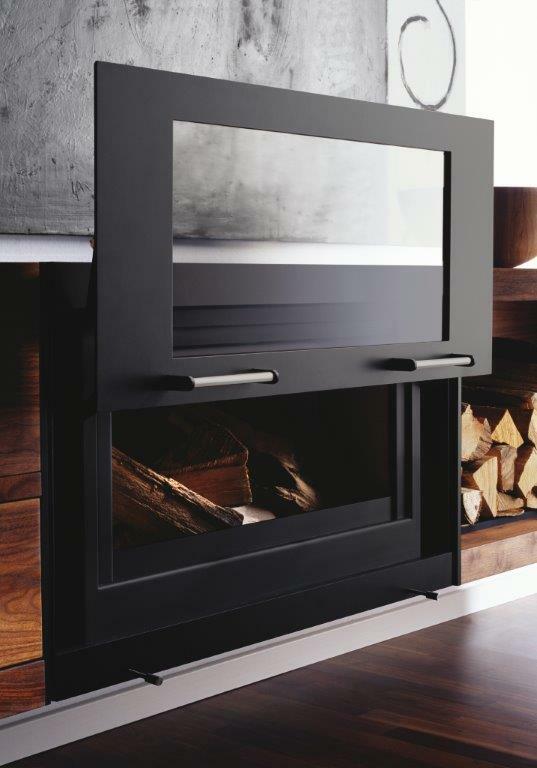 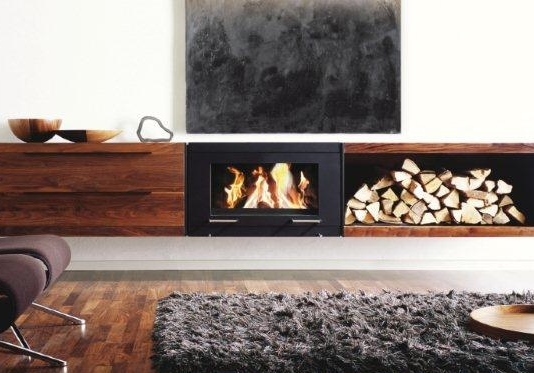 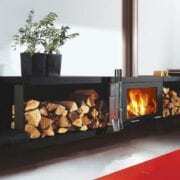 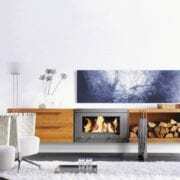 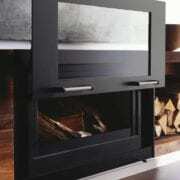 Skantherm gives us the Balance Closed Combustion Fireplace which is a modular stove system and the epitome of harmony. 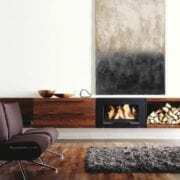 Depending on your taste, it will match your room perfectly in the shape of a chest of drawers, shelf, bench or storage element. 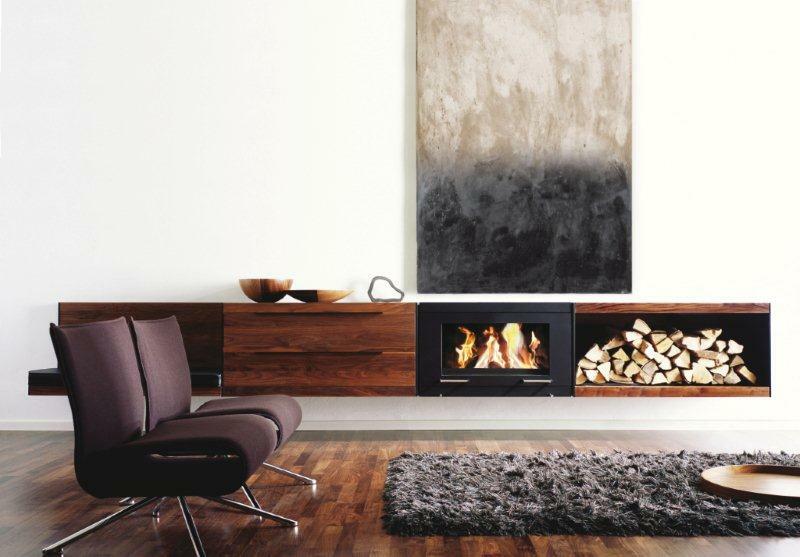 You can choose between a high quality American walnut or light oak version, various colours of paint and the classic steel variety. 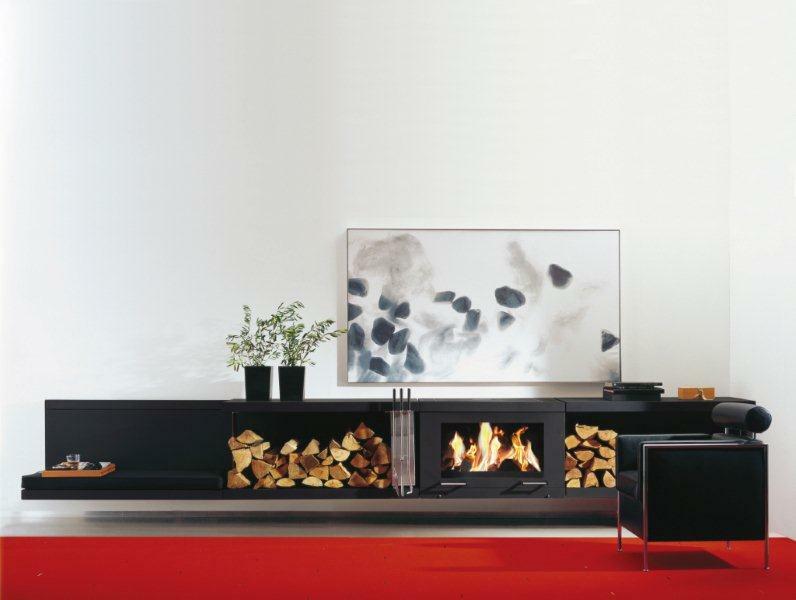 The fireplace is easy to handle as well. 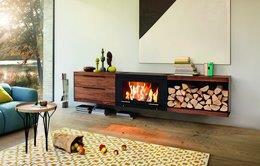 The upwardly swivelling fireplace door makes filling and cleaning child’s play. 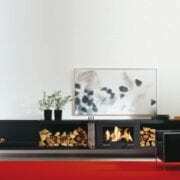 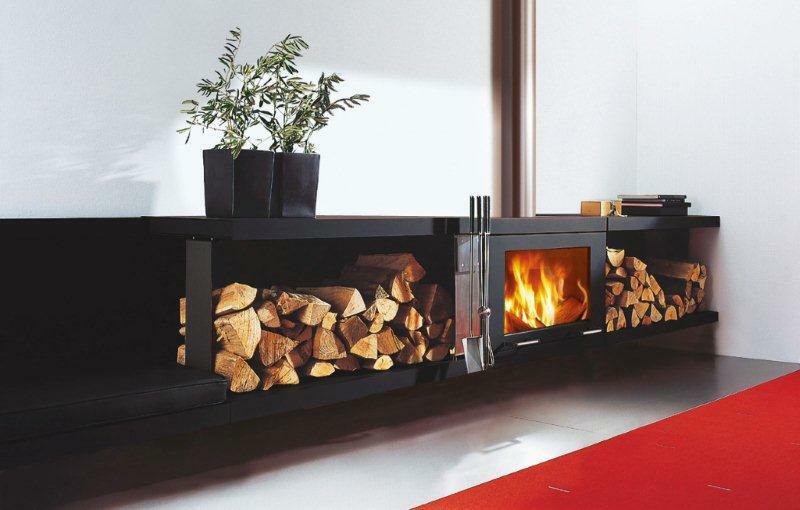 You can create a modular combination with the elements or choose to take the fireplace only. 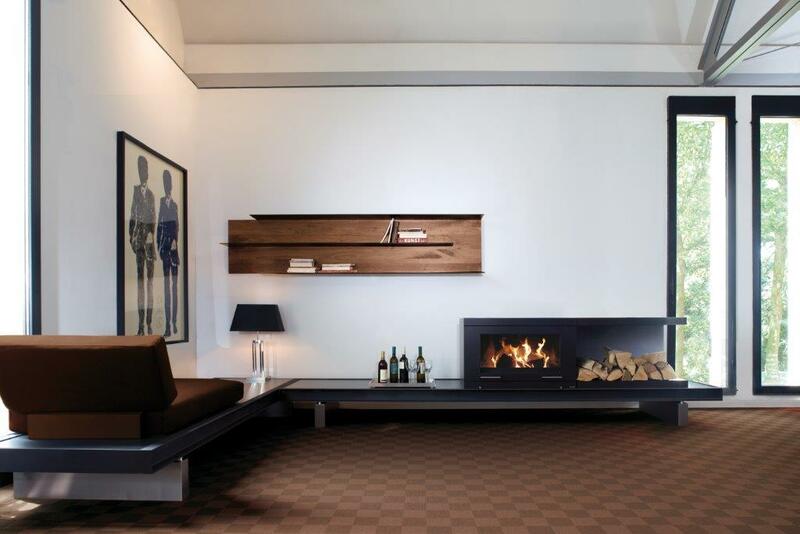 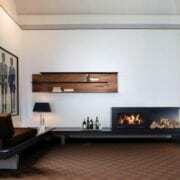 Configure your fireplace here with the 3D fireplace configurator.